An external graphics card aka eGPU allows you to house a desktop graphics card and connect it to your laptop, allowing it to run apps or connect it to an external monitor with the desktop graphics card. Currently, it’s possible to embrace the full power of desktop-grade GOUs on an eGPU thanks to the latest technologies such as Thunderbolt 3 that provides bandwidth up to 40Gbp. All major companies have released their eGPU enclosures to try and create the best external graphics card on the market. Before the adoption of Thunderbolt connectivity in lots of high-end laptops, eGPUs never got the chance to take off due to the limitations of bandwidth when using USB 2.0 to connect the laptop to the eGPU. But now, Thunderbolt 3 offers bandwidth that provides four times the speed of USB-C. Here are five of the best eGPUs that you can find on the market today that comes with USB-C ports. Sonnet’s eGFX Breakaway Box brings the power of a dedicated GPU to your system. You simply have to add your compatible video card, connect your Thunderbolt 3 system with the included Thunderbolt 3 cable and enjoy some desktop class level gaming performance and video acceleration. It delivers higher frame rates for smoother play. The eGPU is ideal for enabling graphics-intensive gaming on computers that couldn’t otherwise produce an acceptable gaming experience. It supports the acceleration of special effects, rendering, color grading and editing. The blazing fast 40Gps Thunderbolt 3 (USB-C) interface provides a full 2,750MB/s PCIe bandwidth. 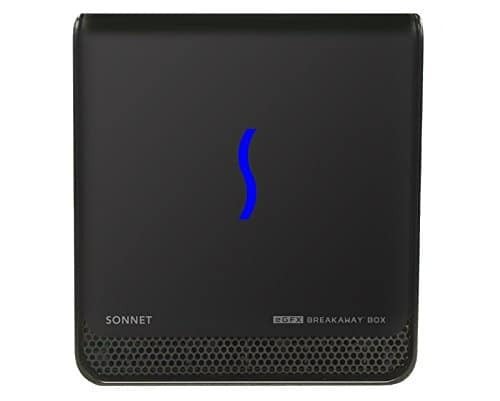 Sonnet’s eGFX Breakaway Box is one of the quietest and coolest eGFX boxes on the market with a significant variable speed and a temperature-controlled fan. The support includes all Thunderbolt-compatible cards with popular GPU chipsets such as Radeon Pro, AMD Radeon, NVIDIA Geforce, VEGA, TITAN X and Quadro cards. Akitio has been a designer, OEM and vendor of Thunderbolt products from the beginning and with Thunderbolt 3, technologies such as the eGPU enclosures can finally be taken seriously. The Node eGPU is claimed to be the very first affordable eGPU enclosure that is designed for the masses. It comes with Thunderbolt 3 connectivity via USB-C, and it provides up to 40Gbps of bandwidth speeds. A 400W SFC power supply is built into the Akitio Node, and it provides more than enough juice for the most powerful graphics cards out there. It supports one full-length, full-height, double-width PCIe cards. It has a simple interface, and it’s effortless to use. It comes with a great design and a high-quality built using only great components. It comes with a carry handle to easily transport the device for a true portable gaming experience. It instantly upgrades a laptop or a mini PC, and it makes it possible to do things that would typically require a high-end workstation or a gaming computer. Thunderbolt 3 creates one compact USB-C port that delivers the fastest and the most versatile connection to any dock, display or data device. You can get the Akitio Node from Amazon. The mantis Venus is an eGPU enclosure for Thunderbolt 3 ultrabooks that aim to offer high compatibility, an excellent array of expansion ports and a sleek enclosure. It is designed to house an external graphics card that can be connected to any Thunderbolt 3 enabled laptop via a single USB-C port. The 40Gbps provides full 2,750 MB/s of PCIe bandwidth. The basic laptop requirements include Windows 10 with Intel certified Thunderbolt 3 Type C connector. It also features six expansion inputs: three rear USB 3.0 ports, two front USB 3.0 ports, and one Gigabit Ethernet port. The Mantis Venus enclosure includes a notable internal SATA III connector for a 2.5 inches hard drive or SSD providing a way to expand storage capacity for ultrabooks. 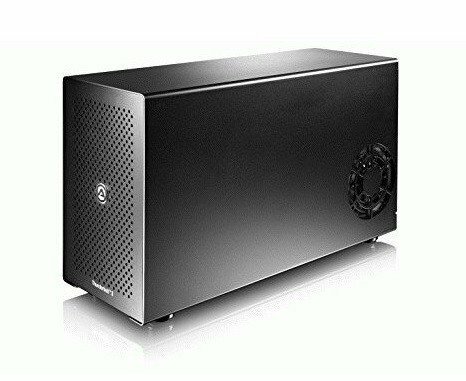 This is a well-rounded Thunderbolt 3 eGPU enclosure that does everything that’s supposed to, and it does it flawlessly. 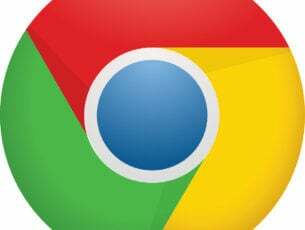 It also works on systems that are not designed to support it, and it provides a really high performance. You can currently check out more of its features on Amazon and purchase it from there. Asus introduces its eGPU, the ROG XG Station 2 in January 2016 and the Republic of Gamers (ROG) which is a brand of Asus saw the opportunity and the high potential of eGPUs for dramatically boosting your laptop gaming performance. It provides Thunderbolt 3 connectivity, and it offers lightning-quick bandwidth speed up to 40Gbs via a USB-C port. 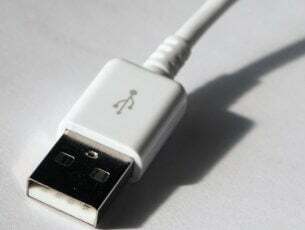 It also comes with an exclusive proprietary connector that claims to deliver an additional 15% improvement in graphics performance. The XG Station 2 houses a 680W power supply which is enough wattage to satisfy even the most demanding video cards. It will upgrade your laptop or tablet’s graphics performance to Nvidia GeForce GTX 9.10 series and later or to AMD Radeon R9/RX and later. 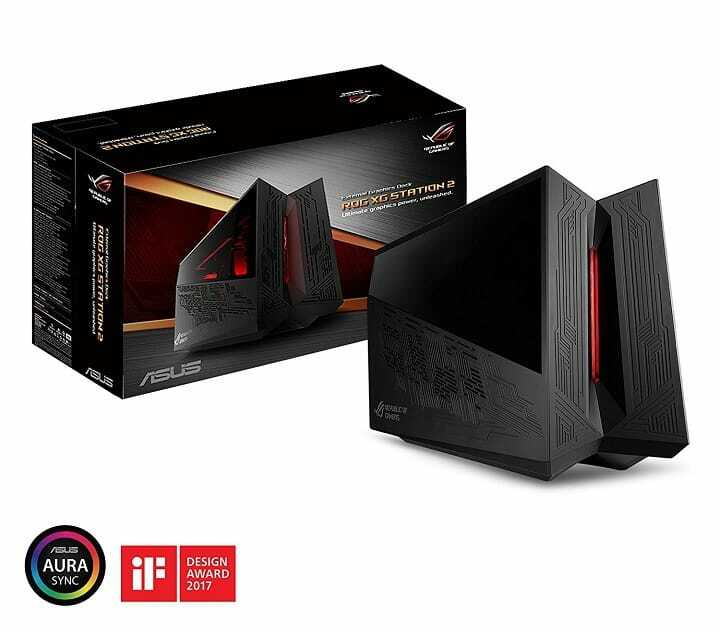 It comes with AURA Sync ready with the ROG XG Station 2’s plasma tube. You can currently get the ASUS ROG-XG-STATION-2 2 Thunderbolt 3 on Amazon. 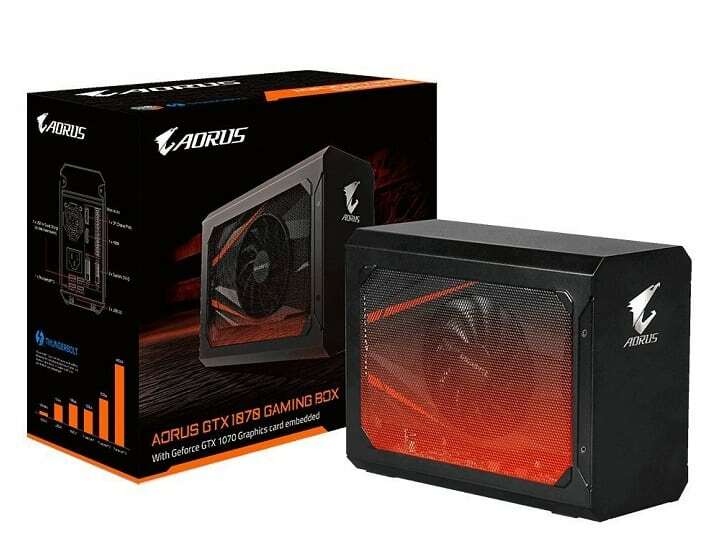 This is one of the best eGPUs, and the Aorus box is compact, and it comes pre-assembled with a Gigabyte-branded short-barrel GeForce GTX 1070 card inside. This external desktop graphics card enclosure connects to laptops via Thunderbolt 3. The unit is small and portable enough. The gaming box has a nice design with metal on all sides and large vents on the left and the right side. Setting it up is effortless, and all you have to do is plug in the power cords, connect it to your laptop via Thunderbolt 3 and install Nvidia’s GeForce graphics driver. It comes with all the display outputs from the graphics card: DisplayPort, HDMI, and two DVI. It leverages Gigabyte’s GTX 1070 Mini ITX OC along with a slimline 450W 80Plus Gold power supply. 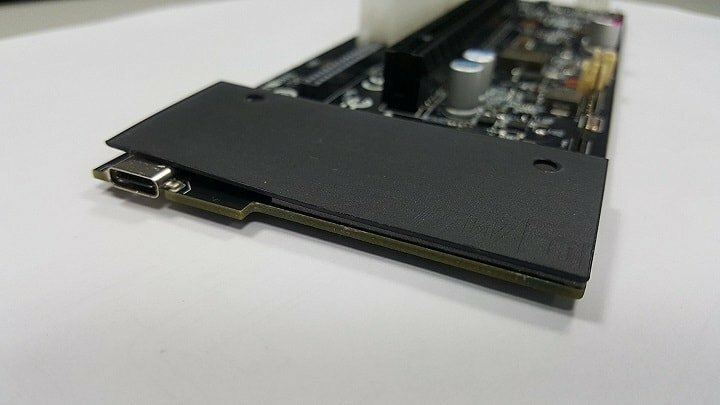 Regarding the temperature, the GPU sits comfortably at around 70 degrees Celsius under load, and this is exactly what you would expect from this card in a desktop PC as well. You can currently get the Gigabyte Aorus gaming box on Amazon. These are five of the best eGPUs with USB-C ports out there that will definitely be able to unleash your notebook’s true potential for graphics-intensive apps such as rendering but most importantly gaming. All these eGPUs future-proof your laptop allowing upgradeability of your GPU and they’ll all be able to reduce the chance of you being stuck with an outdated laptop. Pick your favorite one from Amazon according to your preferences.